The sales pipeline for a small-to-medium business (SME) is standard – it is to acquire leads, nurture into prospects and convert into customers and then, encourage repeat purchases. Where do you find your target market? Well, look at where they hang out. A popular channel is Facebook. In Australia, there are 4.4million user of Facebook between the ages of 25-34. As at January 2018, 14.8 million adults (18 – 64 years) in Australia, are on Facebook. The opportunity is undeniable. Via Messenger, you can deliver something of value – a how-to guide on growing a veggie patch in a small space, a checklist for prepping your pool for the summer or a 10-step guide to prepping your house for maximum sale value. This is Part 1 of the article. 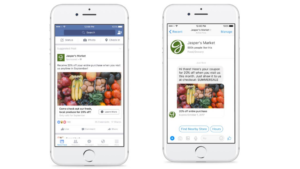 See here for Part 2 and more on how to use Facebook Messenger to convert leads to customers and clients.